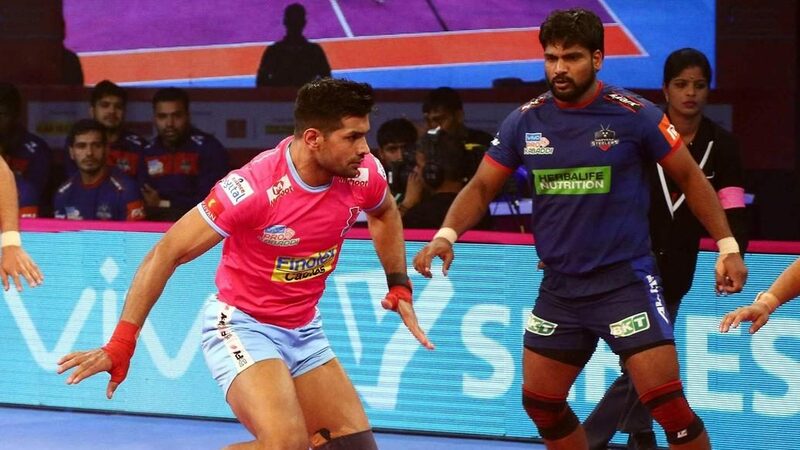 The second half saw Jaipur Pink Panthers send Khandola to the bench in the first raid itself and then capitalise through Pawar and Hooda to reduce Haryana Steelers down to three men on the mat. 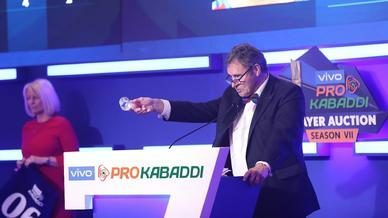 After allowing Shivtarkar a bonus point, the Jaipur Pink Panthers defence pinned him down before a surrender raid given to Hooda gave the home team a much-needed All-Out and a 7-point lead in the game. 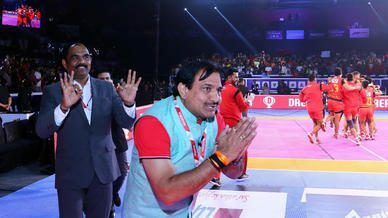 Halfway through the second half, Jaipur Pink Panthers had managed to stretch their lead to nine points as Hooda went on the offence and the home team’s defence managed to pick up Khandola yet again. 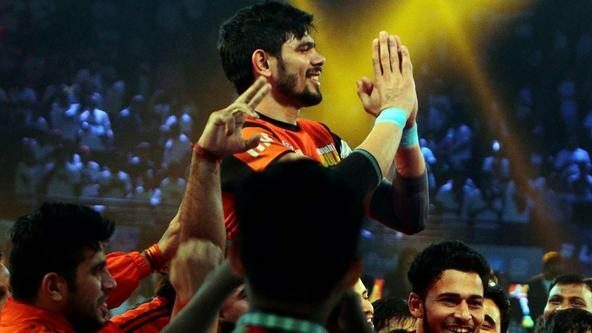 Hooda soon erased the deficit and was well-supported by his team’s defence as they sent Khandola and Shivtarkar to the bench and did not allow another successful Haryana Steelers raid in the next three minutes. 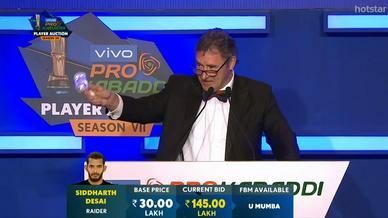 Hooda kept up his scoring spree during this time and gave his team a three-point lead while Haryana Steelers played on the Super Tackle with a three-man-defence. 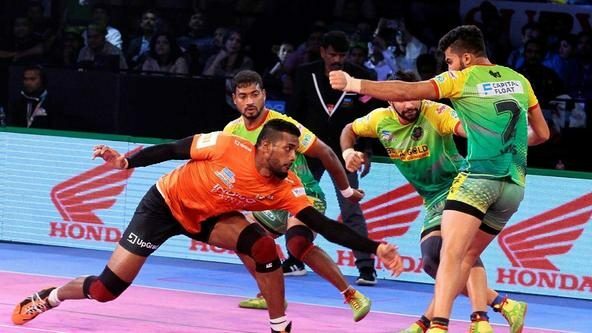 But Hooda managed two straight successful raids, which left just Naveen on the mat for Haryana Steelers, and he got tackled in the final minute of the match to give Jaipur Pink Panthers a decisive 6-point advantage.